Tight hip-flexors are a major problem for any athlete or fitness enthusiast. Shortened and tight hip-flexors inhibit the gluteus muscles (booty) to fire correctly and your movement on the tennis court is less powerful and efficient. When your glutes don’t work how they should, other muscle groups need to compensate and eventually become overloaded. After some time of this dysfunction, you can get knee or ankle/feet problems. When the hips are out of balance, they cannot transfer the forces between the lower and upper body and often you can encounter even shoulder or elbow problems. It is almost hard to believe that all these bad things can happen because of the shortened and tight hip-flexors. 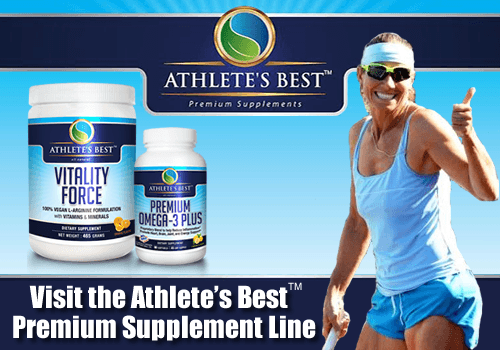 You may think it cannot happen to you, that you are pretty flexible and a good athlete. But before you get too confident, let me tell you that if you sit a lot, which the majority of us does, you most probably have more or less shortened and tight hip-flexors. We sit at work or in school, then we sit in the car or public transportation. And when we get home, we sit at the dinner table or in front of the TV. Later in bed, we may sleep on our side with knees bent and that means that the hip-flexors are shortened even during the night. As you can see, most probably you are one of the short and tight hip-flexor person. If you are not because you stretch them regularly, do yoga and self-myofascial release, then I have to congratulate you. You are the exception! 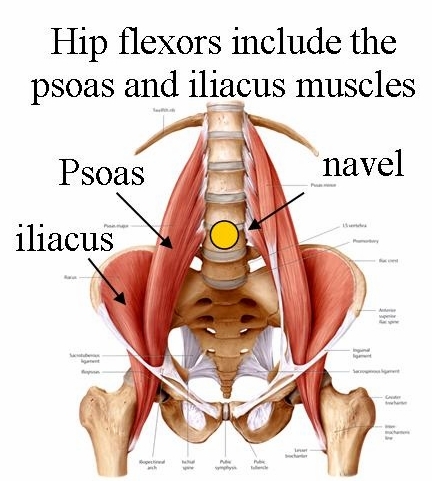 The hip-flexor muscle—also known as iliopsoas—consists of two different muscles: the psoas that runs on the sides of the lumbar spine to the hip, and iliacus that runs from each side of pelvis, joining the psoas at the hip. Its main function is to flex the thigh, which means each time you lift your leg, it is working hard. When it gets dysfunctional, it can cause severe pain. Prolonged sitting or sleeping with the hips bent in fetal position that will shorten the hip-flexors. Tight quadriceps that prevents proper hip extension and thus generating more tension there. Stretching your tight hip-flexors is crucial, but it may not be enough when you have developed trigger points. In that case, a great deep tissue massage, or self-myofascial release will bring you more relief. Lie down on your stomach and place the foam ball high up toward your hips, on the inside of the hipbone. Transfer your body weight on the ball, relax as much as possible and let the ball push inside your pelvis. This can feel extremely uncomfortable if your hip flexor is very tight. Breathe deeply and stay in the spot until you feel that the muscles start relaxing. Then move the ball to a different position and repeat. Look for the most uncomfortable spots and release them all. For increased intensity, use a tennis ball or soft ball. They are much smaller and firmer and will reach deeper. Take good care of your hip-flexors with regular stretching and self-myofascial release after each tennis practice or more often if you develop tightness or pain in your lower back. Fully functional hip-flexors will improve your movement on the tennis court and your game will rise to another level. 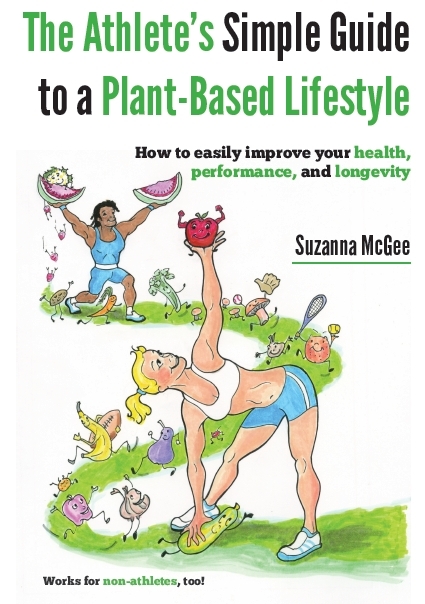 Do you want to learn more about caring for your athletic body with stretching, strengthening, myofascial release and other special techniques that will improve your tennis game and tennis longevity? 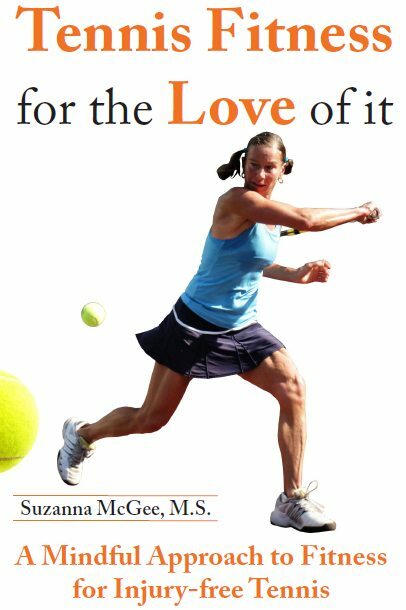 Get your own “Tennis Fitness for the Love of it: A Mindful Approach to Fitness for Injury-Free Tennis” book and learn who you can become your best.